Carlos Arrojo created this winter-themed illustration for a line of letterpress greeting cards for Japanese printing company Haguruma. 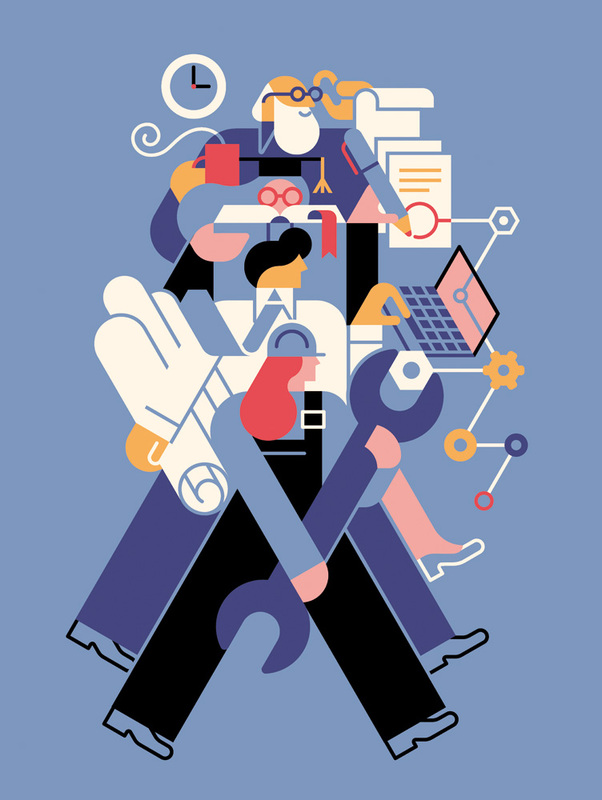 Carlos Arrojo illustrated for the Spring 2018 issue of Stanford Business Magazine – How Automation and Shifting Expectations Are Changing Work. Carlos Arrojo illustrates for A Monocle Special Edition: The Entrepreneurs Guide 2016 - a 24 page Monocle guide for entrepreneurs, globally and locally minded creative and anyone with a good idea. Carlos Arrojo’s illustrations for this Spanish restaurant are featured on Japanese art and design website, We Love Design. Visit Carlos’ Behance page to see more photos from this project.